Superior choice for preschool & daycares. Foundations® maximizes safety through superior fitting sheets. High-quality fabrics provide the ultimate in softness, durability, and safety. 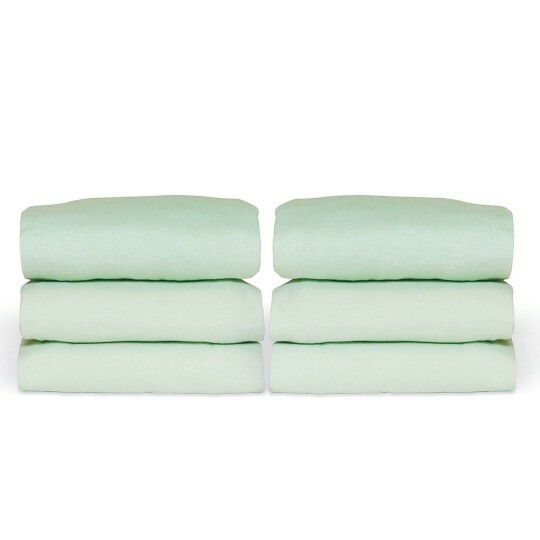 100% cotton knit SafeFit™ elastic fitted sheets use an extra heavy-duty elastic "shower cap" design to ensure retention to mattress and durability throughout heavy laundering. Measures 52"L x 28"W x 6"H. These Foundations® Safefit™ sheets fit full size crib mattresses. Please choose between white and mint.